Mussomeli is a small town in Sicily, and Rosella Diliberto's home. This delightful collection of Rosella's favorite children's songs and game songs introduces your students to the culture and traditions of Italy in a fun, hands-on way. With clear affection for her home and its music, Rosella introduces you to "La Bella Lavanderina" (and its dance-like movements), the hilarity of keeping track of the verses in "La Macchina del Capo," "Ventiquattro Gatti Blu" (a game song about cats lined up in a row, suitable for the youngest children), and four other lively songs. The set includes special highlighted sections that offer links to relevant web sites in Italy and Sicily, as well as web sites and activities for building a friendship with the town of Mussomeli, and for follow-up to history, art, musical instruments, customs etc. Suggested activities through the "Friends and Flags" international friendship project culminate in a friendship box to send to sister classes in Italy and/or other countries. 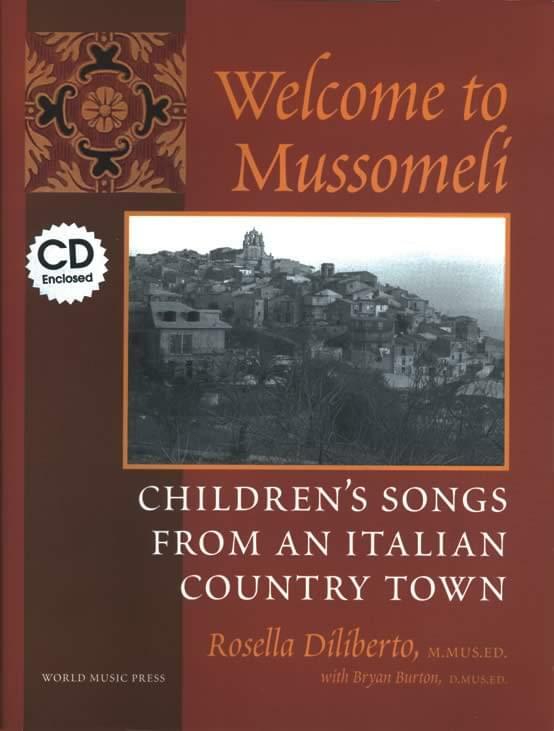 Whether you are Italian by birth, are working on a unit about Italy and Sicily, are trying to learn the language, or just love all things Italian, this heartfelt introduction to the children's songs of Mussomeli will enchant you. Slow pronunciation of every song, and demo of a group and/or Rosella singing each, with accompaniment, where appropriate.